The iPhone XS Max is Apple’s largest and most expensive iPhone yet. However, Apple has not brought as many new features to the party as many would have liked. Find out in our review whether bigger and faster is enough for the iPhone XS Max to take our coveted throne at the top of the smartphone pile. Update: Test completed. Positive: Big screen; powerful processor; high performance; impressive display. Negative: High price. Model: The Apple iPhone XS Max is all about its massive, beautiful screen, which is easily better than any other. For the last few years, when there’s been a ‘plus’-sized iPhone, the bigger one has been definitively better. The bigger ‘plus’ screen size also comes with significantly longer battery life than the smaller iPhones and dual cameras instead of single-lens affairs. However, this 6.5-inch model is called the iPhone XS Max instead of ‘plus’ because while it’s bigger than the 5.8-inch iPhone XS, they’re otherwise practically identical. The iPhone XS Max is actually one of the more difficult super-sized phones to handle. That’s partly because it’s marginally wider. They look and feel luxurious in stainless steel, but they’re difficult to get a solid grip on with fingers. The glass back plays with ambient light to deliver different shades, while the shiny colour-matched stainless steel adds a hint of bling. The XS Max is IP68-rated for dust- and water-resistance. That means it can withstand being submerged in 2 meters of water for up to 30 minutes, compared with 1 meter of water for the same amount of time on the iP67-rated iPhone X and iPhone 8. The iPhone XS Max has Apple’s latest processor, the six-core A12 Bionic, which the company says is 15 % faster than last year’s A11 Bionic and up to 50 % more efficient. But it is the integrated AI chip that is up to nine times faster than the old one that apparently makes all the difference. The A12 Bionic is new, and it is not just paired with 64 GB, 256 GB, or 512 GB flash storage, but also 4 GB of LPDDR4 RAM, which is a new high on the iPhone. 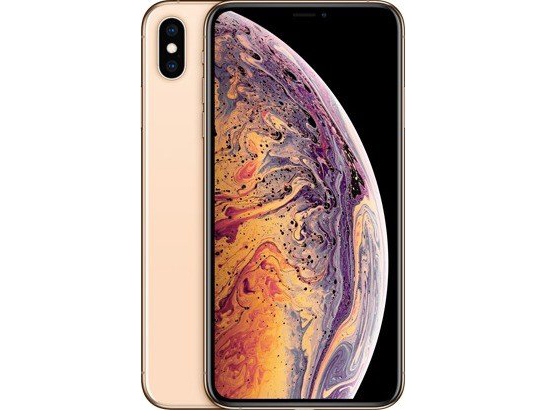 The iPhone XS Max has an HDR 6.5-inch Super Retina HD display at 2.688 x 1.242 pixels and 458 pixels per inch. The display is also HDR, spans the DCI-P3 colour range, has 624 cd/m2 max brightness, and 1,000,000:1 typical contrast ratio. The OLED panel is pretty colorful too, covering 123 per cent of the sRGB color gamut. Most photography will be done with the rear-mounted dual 12 MP camera system. It is improved somewhat from the iPhone X with a larger sensor leading to better low-light performance even before software assists, an f/1.8 aperture for wide-angle, and an f/2.4 for telephoto. The optical zoom remains at 2x, with a digital zoom up to 10x. The TrueDepth camera system, responsible for not just selfies but also for Face ID is a 7 MP shooter, with f/2.2 aperture. The photos taken by the XS Max look outstanding on their own, but when compared to the X, there is a slight difference to them. The audio boost in the iPhone XS Max is so good that users will think twice about connecting to a Bluetooth speaker. Apple says it widened the stereo sound to deliver more detail. The iPhone XS Max has a larger capacity of 3,174 mAh. It is the phone to get if a user wants longer endurance. The iPhone XS Max is an amazing device, packed with loads of technology in very much the same way the original iPhone was. Its primary selling point is that enormous, gorgeous screen, which is really only useful for watching video or viewing photos. It is a phone without hardware compromise, with an equally uncompromising price. 86.98%: This is a good rating above average. Nevertheless you should not forget, that 10-15% of all notebook-models get a better rating.